There are several instances when you might need to store breast milk. 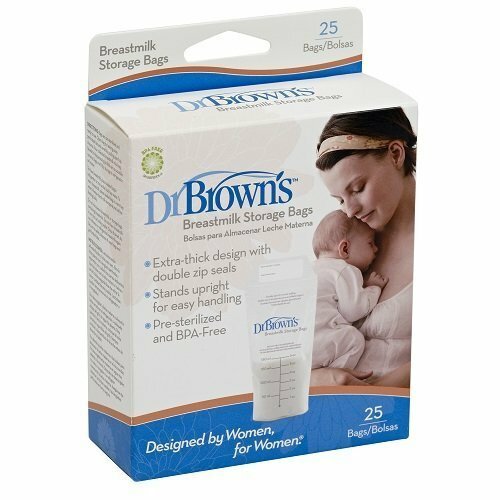 First, you’re probably going back to work and with someone else taking care of the kids, it will be convenient, and you’re confident you can still exclusively breastfeed even while you’re away. Second, having stored milk means you don’t always have to be the one to wake up in the middle of the night if the little one is hungry. Your husband can also take care of it. There are two ways you can store it: in a clean, capped glass or specially-made plastic bags designed for this purpose only. There are downsides to both of them: glass can chip and break while bags can leak and tear. For this article, we’ll be going with storage bags. 1. Use waterproof ink when labelling. You need to write the date when you expressed the milk and if you’re sharing the freezer with someone else, also indicate the name of your baby. 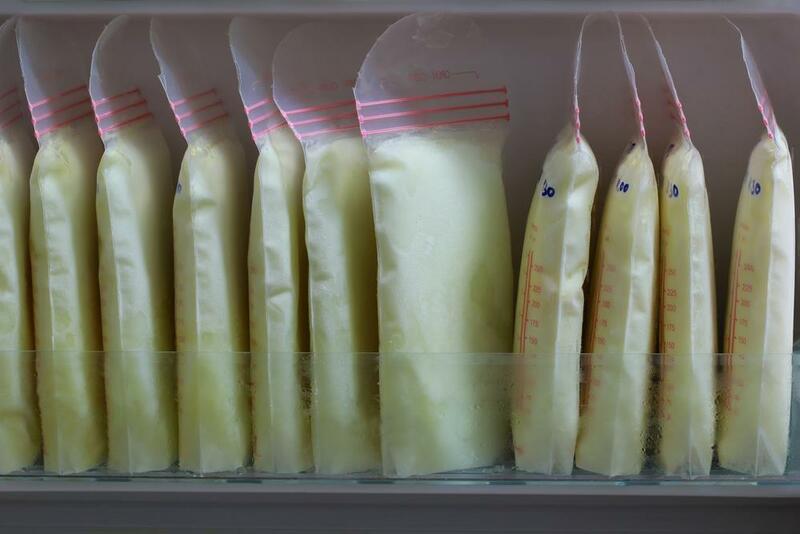 Remember that breast milk expands when it’s frozen so never fill the container, be it glass or bag, to the brim. 2. Place the bags at the back of the refrigerator or freezer because this part is the coolest. And if you’re not at home, bring several containers. 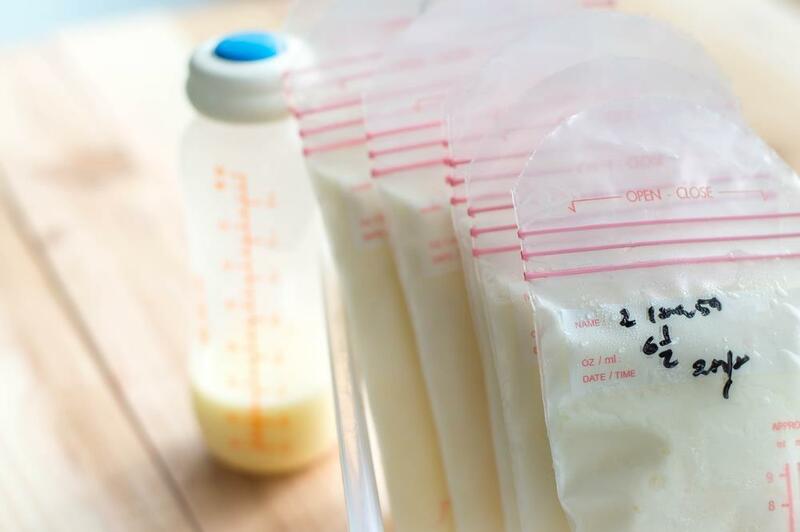 Ideally, each bag should contain enough liquid for one feeding (60-120 ml) so if you have more time to spare, and more milk is coming out, it won’t go to waste, and you can fill up as many bags as you want. 3. If you’re working for 8 hours, you should pump at least three times or every 3 hours. Go for 10 minutes for every snack break and 15 minutes for lunch break. It will help ensure adequate supply for your baby even though you’re away. You can use one container for an entire work shift. 4. For room temperature, breast milk can last for up to 4 hours. If you have a cool box, fill it with ice bags (it should be in contact with the bags) and your milk is safely stored for one day. Try to limit opening the cooler as much as you can. When using the refrigerator, the limit is five days provided you placed it at the back. But as much as you can, use it for no more than three days. In a deep freezer, your baby should ideally consume it within six months but the maximum time is 12 months. 5. The colour of frozen milk can vary depending on your diet. So don’t panic if your liquid gold looks different from your co-worker’s. There are two ways to thaw it: you can run the bag under running water (don’t use warm, go for cold first before increasing the temperature) OR transfer the container from the freezer to the refrigerator the night before you intend to use it. Remember to take out the oldest stored bag first. Don’t let it thaw by leaving at room temperature. Don’t ever add warm or freshly pumped breast milk to a frozen one. While it’s okay to add milk to a container that you have filled on the same day, they should at least be closer in temperature (ergo, cool the newly pumped liquid). It's so you can avoid thawing of the frozen milk. Don’t microwave or use direct fire when warming it. Aside from using a bottle warmer, what I would do is add hot water to a cup or bowl then place the bag inside it. Don’t shake the milk if you notice the cream separating into layers. Instead, just swirl it gently. Do not freeze the thawed milk again. Don’t refrigerate used bottle. There are instances when your baby could not finish all the milk in the bottle. The maximum time limit should be one hour; he should consume it within this period. Beyond that, you have no choice but to discard. Don’t wait for the bags to stay too long in the refrigerator. The longer they are unused, the higher the possibility of losing the vitamins and antioxidants. Don’t give it to your baby if it’s too hot or too cold. The ideal temperature would have to be ‘comfortably warm.’ You can test this by dropping a small amount on your risk to determine whether it’s good to give to your little one. Don’t let your baby drink if you’re in doubt. The colour and smell may vary but if you’re hesitating whether the milk is spoiled or not, go for the safe option and discard. It has superior leak protection, double zip seal and is freezer burn resistant. Inside the package, it also contains a non-toxic marker which will come in handy. Plus, pouring milk into the bottle is easy and hassle-free. Bags are not reusable because there’s the question of cleanliness, sterility and the matter of bacteria contamination. This BPA-Free bag has a patented double zipper seal to ensure zero spills and leaks. It also contains a snout which will make it easier and more convenient to pour the milk from the bag to the bottle. It can be stored flat in the freezer. 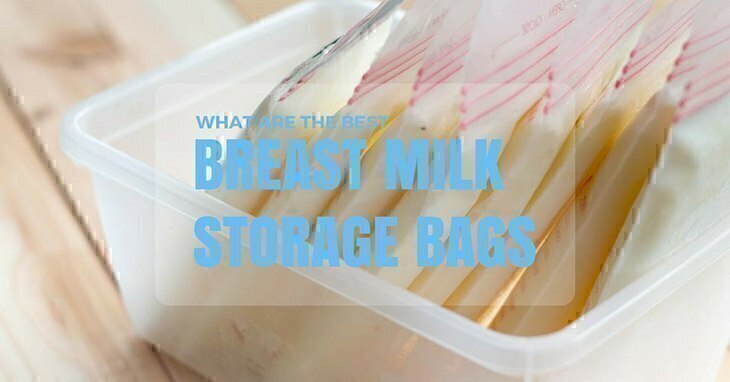 The bags help you freeze and thaw the milk quickly – great if you’re always on-the-go and cannot wait for long. Easy to open and there’s less possibility of experiencing tears or ripping off of the top seal. You can pour the milk smoothly and without spills. Keep in mind that every drop of the liquid gold is essential. Minimal cases of leakage, mostly when thawing. Although, I suspect that the bag might’ve hit something sharp which is what caused the leak. The measurement marks aren’t easy to read, but it’s not exactly a deal breaker. Mums will be unable to pump directly onto the bags. Some aren’t too bothered by this, but others may prefer less hassle in transferring the milk. Some may find the plastic flimsy and thin. Although, there are those who argue it’s pretty durable all things considered. 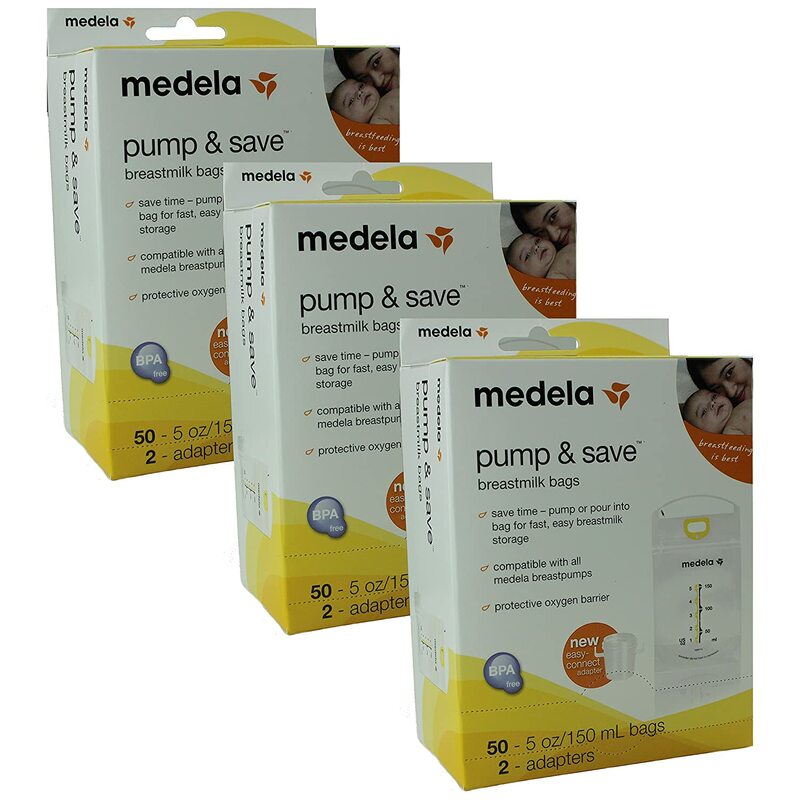 It needs no introduction as Medela is one of the most famous and reliable company when it comes to breastfeeding products. It features a protective oxygen barrier which minimises leaks or spills when placed in the freezer. 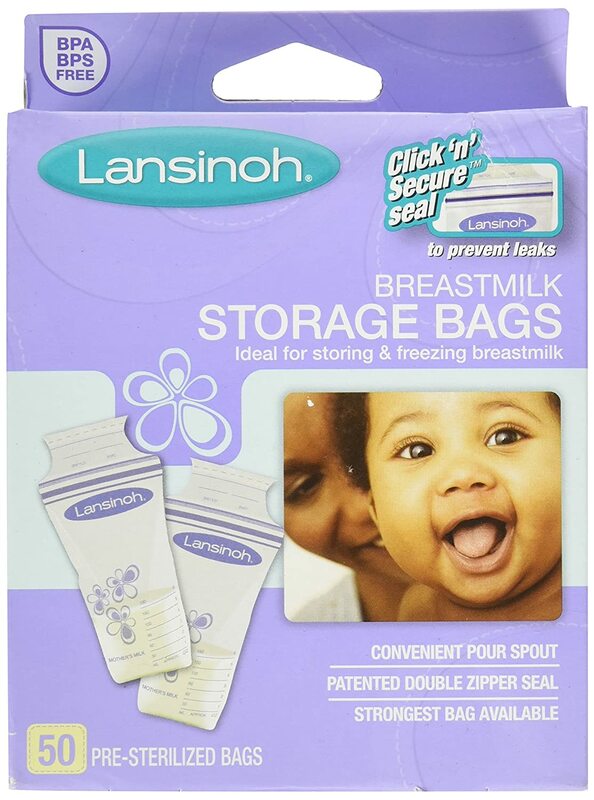 It allows mothers to pump directly into the bag – less hassle, more convenience and saves time. It features a double zip lock technology to avoid spilling and leaking the milk. It has tabs to allow you to write pertinent information such as name and date when you stored the liquid gold. And it’s pre-sterilized for added safety and protection. This product boasts of durability and has features to add protection to your milk – leak-proof double zipper seal, self-standing and pre-sterilized to ensure cleanliness. And the company has been in the industry for quite some time – it’s one of the most popular products. The strip you have to tear to open each bag may become a choking hazard. Put them in the trash immediately. I totally understand the concern of spillage and leaks because every drop does count a lot especially for mothers who don't have an overflowing supply. Nothing can be more heart-wrenching than seeing some of your liquid gold on the table or worse, on the floor. 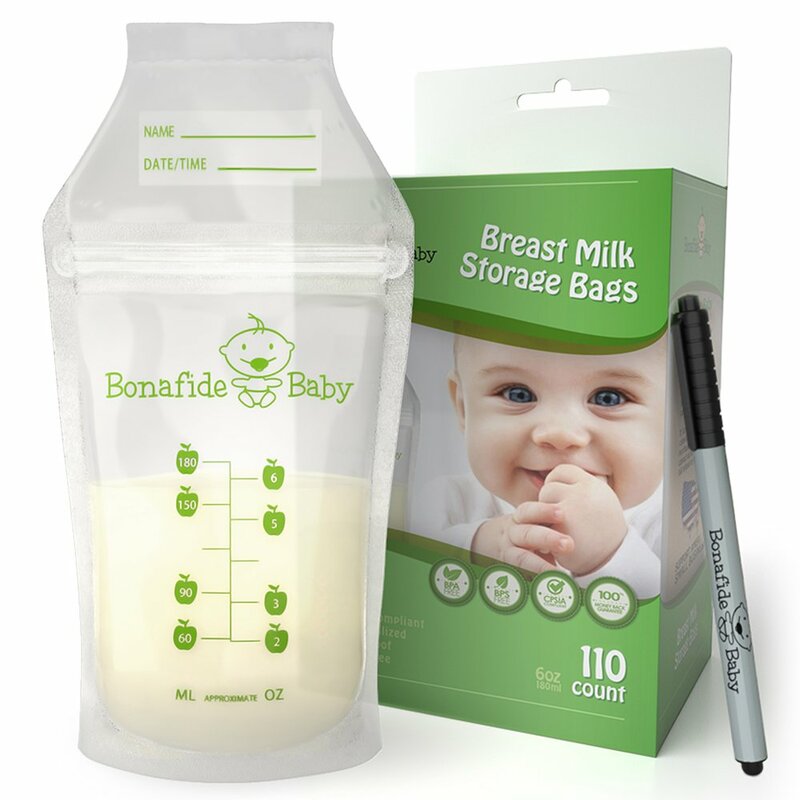 The clear winner here is the Bonafide Breastmilk Storage Bags. It’s probably the only product with minimal or zero complaints of leakage which, as I said earlier, is an essential factor in deciding which to buy. I also understand your hesitation in gambling for products which are new, but all you need to do is check other mothers’ feedbacks to know whether it’s something that will suit your needs. If you have anything more to add, share with us in the comments!